Do you still remember about Chef Ken from the Top Three of Master Chef Indonesia 2? 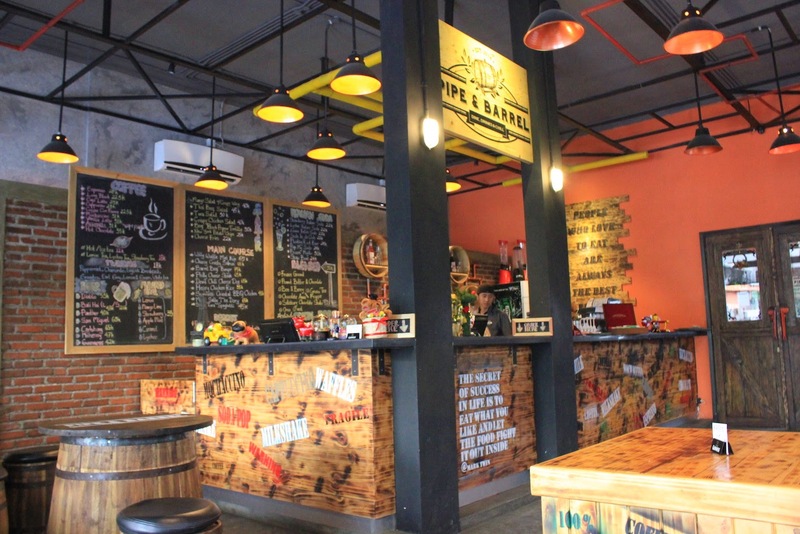 He’s finally openning his cafe in Surabaya! It has an American – country design, which is very cool. There are also some songs played so that you can enjoy the ambiance and food more. Let’s go to the food & beverages review! Drooling… yes? Hahahaha! This cheesy cheese fries is one of my favorite french fries ever! Especially the cheese on top of it. Oh my, can’t stop picking it! Warning : addiction! Doesn’t like american or fast food? 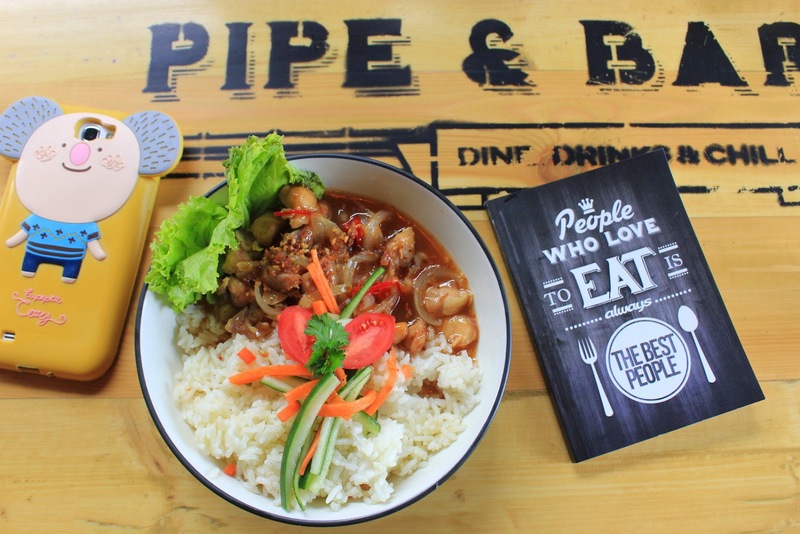 Relax, you can enjoy the Honey Chicken Rice special from Pipe & Barrel. It taste delicious, the chicken meat is so tender, and it’s healthy! Tadaa! 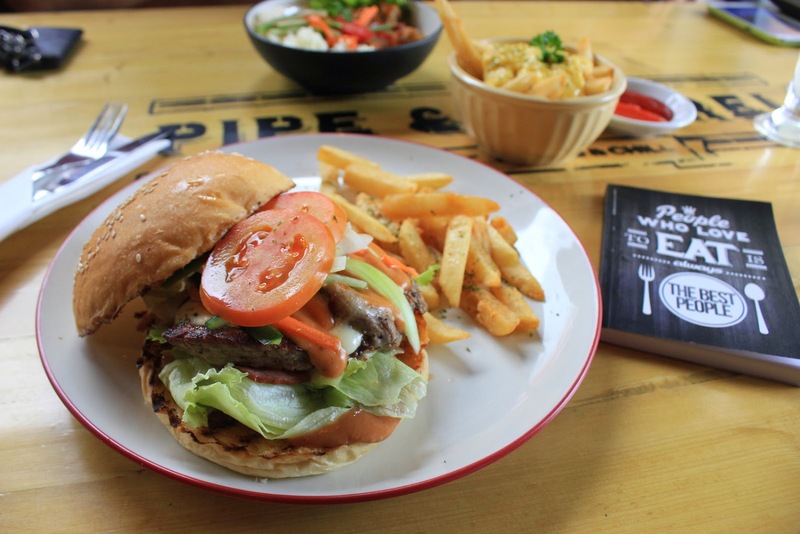 The most wanted food in Pipe & Barrel is the Barrel Beef Burger. Just take a look at the size of this burger. So huge right? Love the texture of the meat, it’s perfect! A perfect balance between the vegetables, buns, fries, and meats. P.S : You can request for medium rare, medium, medium well, or well cook meat. 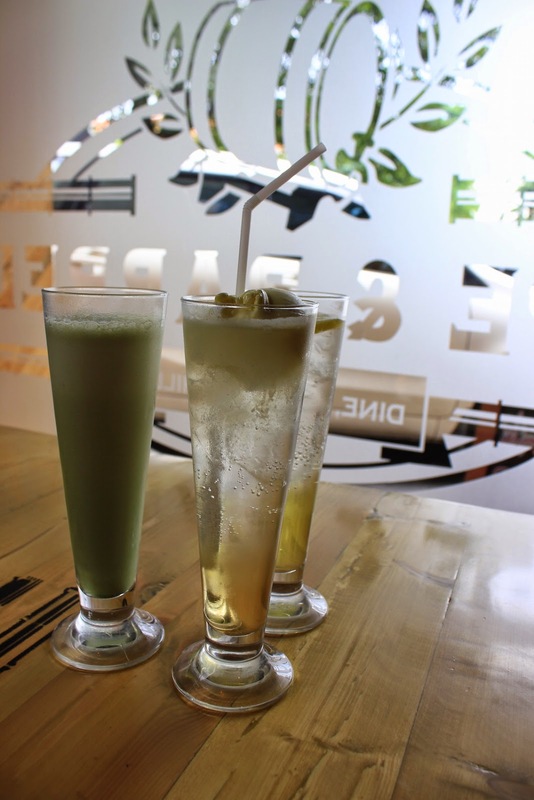 And yes, I can tell you that this one is one of my favorite green tea frappe! The green tea taste strong yet balance with the milk and other things inside it. Slurp! I want more!! Overall, super love the food & beverages served here ! Affordable and it satisfy me! Anyway, when I go there, Pipe & Barrel is having a give away a free book for minimum purchase IDR 200,000. I love the simple design of the book! 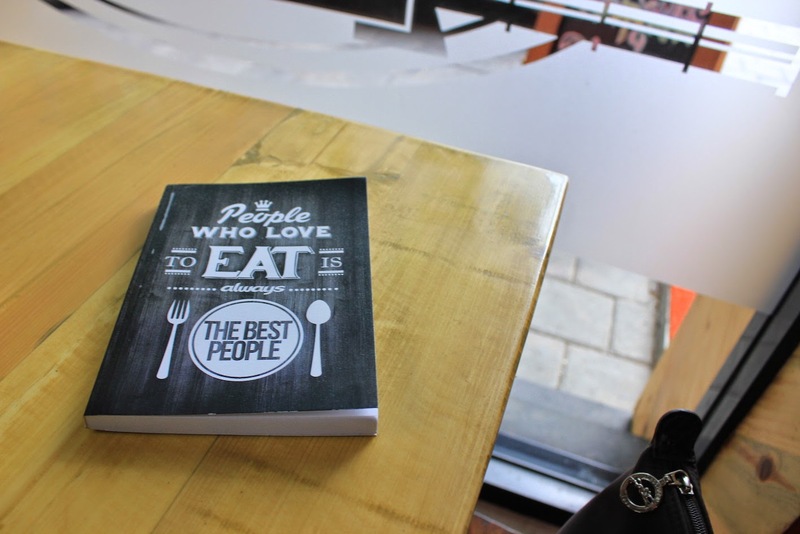 Yes, I also agree with the quote, People who love to eat is always the best people! Thank you for the free book! Will I come back? Sure, I’m licking my finger right now, missing the taste of the delicious French Fries and also can’t resist to drink that milky Green Tea Frappe! One of my fave spot here in Pipe & Barrel!
. Askfm . Blog . Instagram . G+ . Twitter . Zomato . Curry House Surabaya: What’s your favorite curry? wow! such a lovely place! 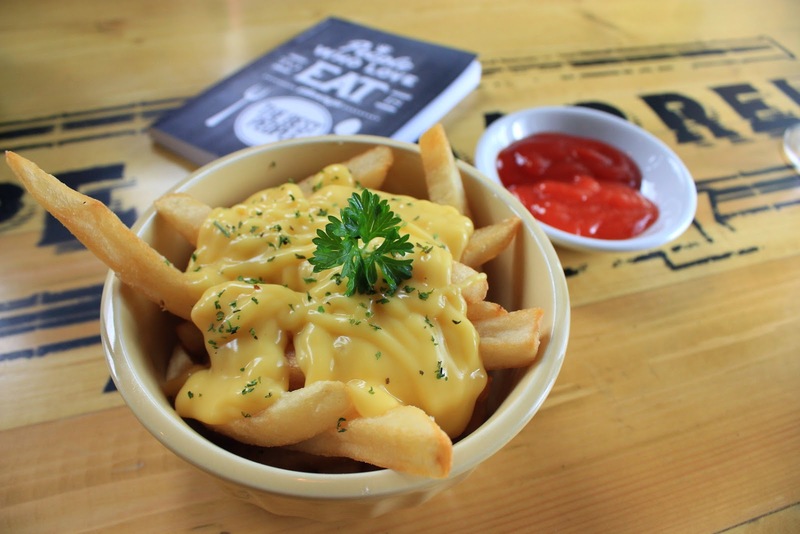 Iya, cheese friesnya memang must try banget disini! Hahaha, iyaa, memang kalau kuliah terserah kita mau belajar apa nggak, tapi bobot sama kewajibannya lebih besar daripada anak SMA. Jadi kalau dipikir-pikir sama aja benernya. Mmm the food looks delicious. blognya keren… mirip kayak anakjajan nih…. Masih kalah keren kok kalau sama anak jajan, hehe. Blog ini juga campur soal travelling juga. But I hope I can be a good one. 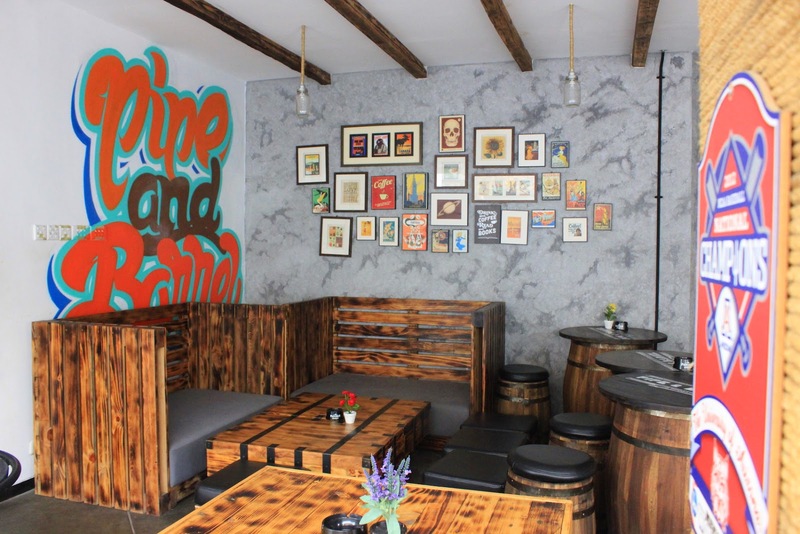 This place looks great to hang out with friends and food is also looking delicious. Thought I just love the food of San Francisco restaurants but I will definitely try this one out.